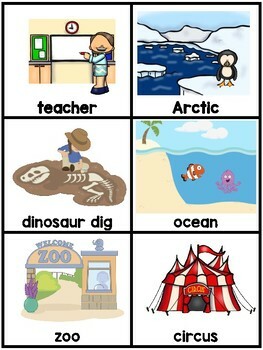 Nouns can be a tricky concept for young learners. The use of sorting cards can serve as a fun visual, as well as an interactive whole group or small group center activity. 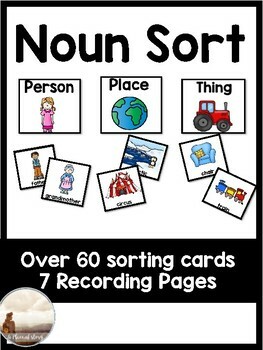 After teaching the three types of nouns, use these cards on a pocket chart to display the three different types of a noun. If you are choosing to use this as a small group center, students can sort on the ground using the header cards for their different categories. 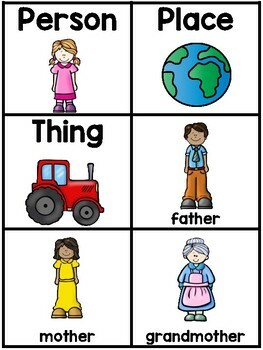 Check student comprehension with one of the 7 recording sheets included. Differentiated to fit the needs of your classroom. 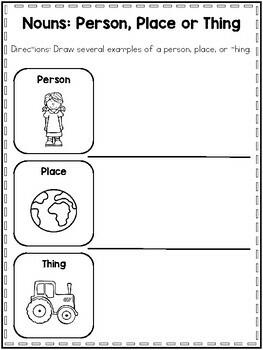 Students can either draw, label, or write about their nouns. -22 sorting cards for each noun (in color).